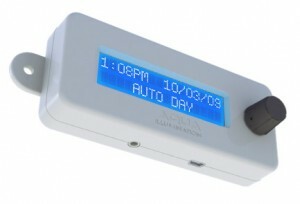 Aqua Illumination has just announced the release of a beta firmware (3.0b) for their AI System Controller. This new version allows the user to independently control blue and white illumination channels, with up to 8 set points throughout the day. The previous firmware only allowed for sunset/sunrise controls. We are proud to announce the beta software release of the newest version of the AI System Controller, version 3.0b. Version 3.0b allows the user to independently control both blue and white illumination channels up to 8 set point times throughout day. No longer are users limited to only sunset/sunrise controls but now they can illuminate their System on their own schedule. Users may now control their system to gradually ramp to different white and blue intensities throughout the day by controlling the time and duration of each set point. The Controller still maintains the manual mode which allows users to select both blue and white intensities in real time with a turn of the knob. We are opening up this software as a beta release to get user feedback. While we have performed extensive testing in our labs, the true test is how the software works out in the field and we appreciate your help in this. While beta testing this new software, we ask that if you experience difficulties or notice irregularities that you please create a support ticket under Support and select the Beta Test Request Help Topic. I’ve been testing the 3.0b release since made available. It’s a great enhancement. Now it’s easy to customize sunrise/sunset and midday PAR increases.